RUN FOR YOUR LIVES BEFORE THE ZOMBIES GET YOU! Competing in a marathon is already challenging but imagine having the extra adrenaline rush of zombies chasing you while you compete. The running dead 5K marathon showed to be a successful event with over 500 participants. 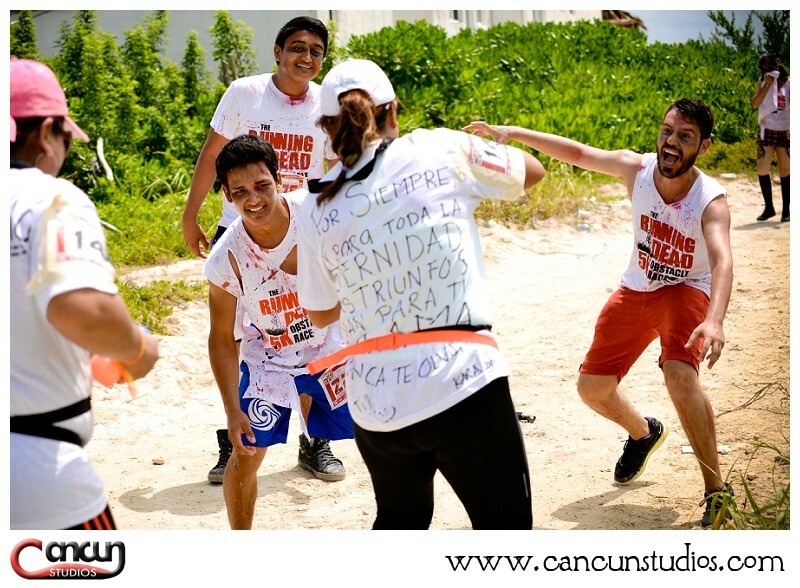 Each runner starts with 3 lives in the form of a red flag and sprints through obstacles covered by zombies. The zombies attack and chase the participants trying to take a life flag away. Those who arrived to the finish line with any lives were few but some were successful and were cheered upon when passing the finish line! Cancun Studios was there to document the zombie sightings. What is the best time of day for a Cancun Beach Photo Session?